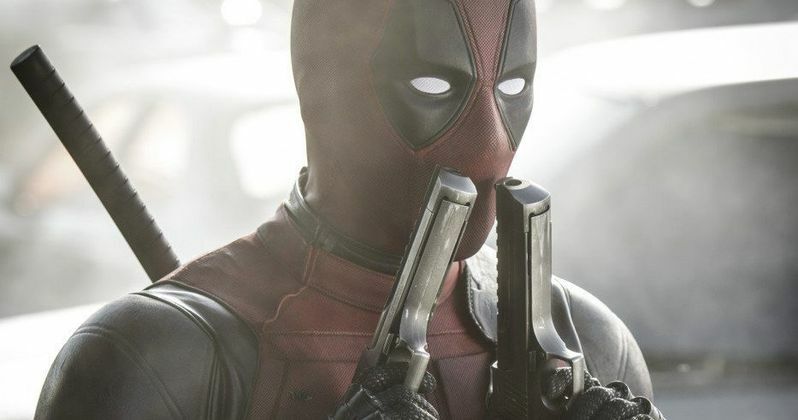 Fans of the Merc With the Mouth got a special gift on Christmas Day, with new red band and green band trailers for the highly-anticipated Deadpool, arriving in theaters February 12. As the countdown to this superhero adventure continues, 20th Century Fox (via Comic Book Movie) has revealed three new photos, featuring Deadpool (Ryan Reynolds) and his girlfriend Vanessa Carlyle (Morena Baccarin). The photos also reveal new looks at the freeway battle scene teased in the trailers. 20th Century Fox debuted a red band trailer and a green band trailer on Christmas Day. Those who saw Star Wars: The Force Awakens in IMAX last weekend were treated to a 27-second tease of Deadpool, before the full trailer debuted. It isn't known if there will be another trailer that debuts before the February 12 release date. Based upon Marvel Comics' most unconventional anti-hero, Deadpool tells the origin story of former Special Forces operative turned mercenary Wade Wilson, who after being subjected to a rogue experiment that leaves him with accelerated healing powers, adopts the alter ego Deadpool. Armed with his new abilities and a dark, twisted sense of humor, Deadpool hunts down the man who nearly destroyed his life. Ryan Reynolds stars as the Merc With the Mouth, with a supporting cast that includes Morena Baccarin, Gina Carano, Ed Skrein, T.J. Miller, Brianna Hildebrand, Olesia Shewchuk, Style Dayne, Rachel Sheen and Dan Zachary. Tim Miller makes his directorial debut with Deadpool, working from a script by Rhett Reese and Paul Wernick. Deadpool is based on the Marvel comic book series created by Rob Liefeld. Deadpool is slated for release on February 12, 2016, going up against Warner Bros.' How to Be Single and Paramount's Zoolander 2. Since neither of those films are expected to be R-rated like Deadpool, we'll have to wait and see if the rabid fan base for the Merc With the Mouth will come out in droves and overpower its competition. While we start the new countdown leading up to the February 12 release, take a look at these new photos below.